HMS and the 9th Grade Academy will be hosting a Food Drive from December 1-17, 2015. 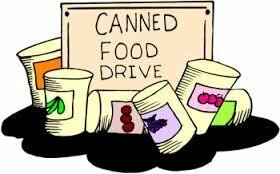 Students may donate non-perishable food items to their homerooms and boxes will be picked up on December 17th. The food collected will be donated to the First Baptist Food Bank and will benefit local families. Please help us help others this holiday season. We would like to thank Abbie Taylor, a student at HMS, for organizing this event!